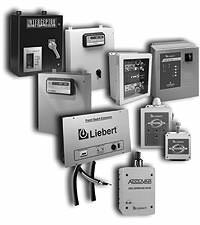 Liebert has been a dominant player in the large data center UPS market and offers complimentary power conditioning products such as TVSS and Surge Protection devices. Surge Suppression devices, when strategically placed, can enhance overall power conditioning efforts when installed in addition to UPS systems. These devices are especially important in high risk environments such as medical facilities, welding and machine shops, and in facilities with heavy load switching devices and applications. Gruber Power offers global service and all Liebert products and offers depot repair service on the smaller products.